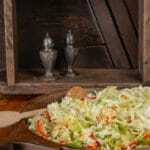 Norwegian coleslaw is a classic recipe. 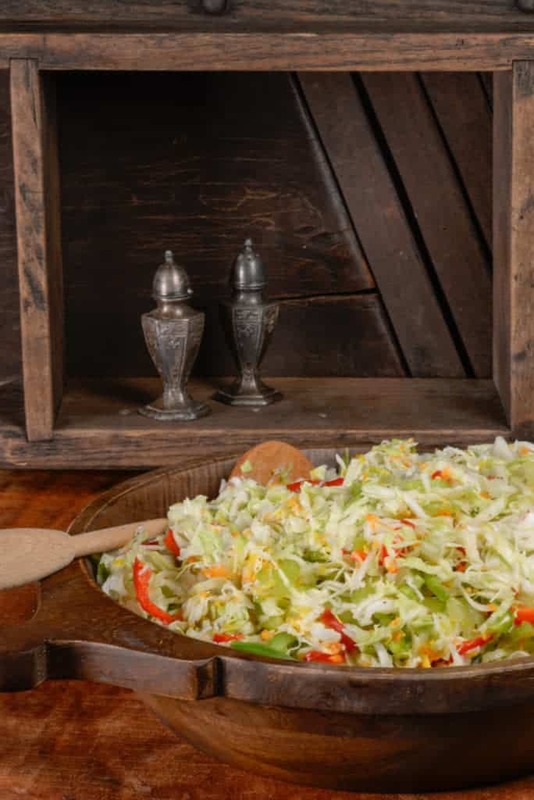 The slaw has a subtle sweet and sour flavor. The sweet comes from sugar and the sour from vinegar. This is a recipe that gets better with time, so it is actually best to make a few days in advance. We served this Norwegian coleslaw as a side dish to our seafood feast, and it was a nice accompaniment to all the rich seafood, mayo and butter. Have you seen a cabbage shredder before? It is in the background of the photo, pretty cool! Please note prep time does not include refrigeration time which is a minimum of 24 hours however longer is better. While the cabbage is in the refrigerator, in a saucepan, heat the sugar, vinegar, and seeds.